So Henrietta Melville is described to the Honourable Julian Aldwyn, who is on the look-out for a wife who will prove restful after an earlier, disastrous love-affair. But there’s much more to Miss Melville than meets the eye. Although she is a spirited and intelligent heiress, at twenty-six and still unmarried, she’s considered to be on the shelf. Julian is certain his offer will not be refused. But then comes a whirlwind month in Bath, a dastardly rake, secrets from the past … all calculated to turn any woman’s head. 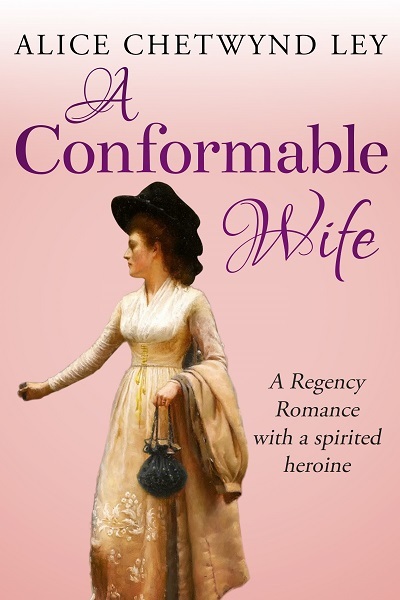 Could Henrietta become the conformable wife Julian is looking for? Or will someone else catch her eye…? A Conformable Wife is a classic historical novel by Alice Chetwynd Ley.